I left Johanessburg’s sprawling and, it seems, rapidly expanding airport on a South African Airlines flight. The airport at Antananarivo was quite a contrast. So too were the roads and surroundings on the way into town. 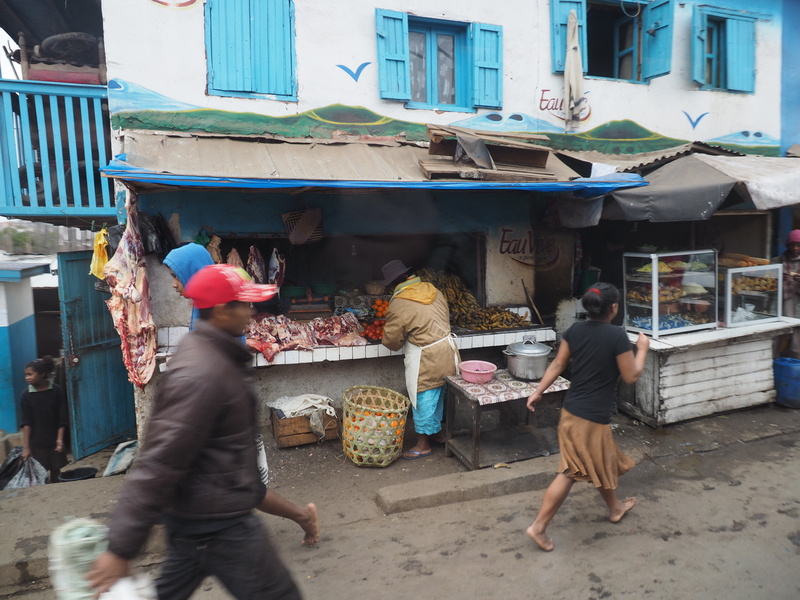 Whereas South Africa has multi-lane highways and electronic tolling, even if most drivers are refusing to pay the bills, Antananarivo has a very modest airport and narrow streets. Even though July is the start of the dry season the countryside is green unlike the dusty brown highveldt around Jo’burg. Both cities are cooler than you would expect for their latitude because both are quite high, Jo’burg 1750 meteres, Antananarivo 1280 metres. Once again, I travelled with Zegrahm Tours, the map, which I shamelessly filched from their website, shows the places we would visit. 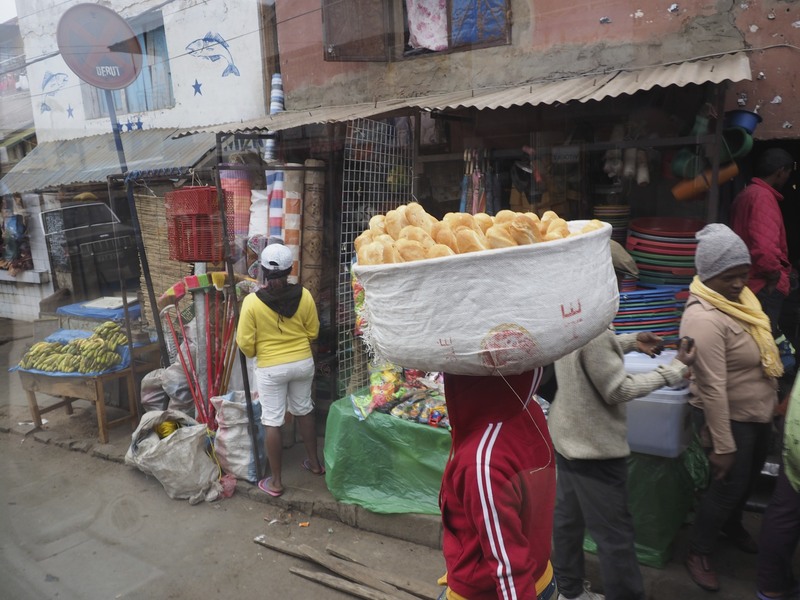 One theory is that Antananarivo comes from the Malagasy for the place where far too many ans arrived. It is far more likely that it translates something like the city of a thousand (the strength of the force deployed by King Andrianjaka 1612–1630 to capture the town formerly known as Analamanga), although it is now home to a little over two million. It sprawls over the hilltops in all directions, the intervening valley bottoms are agricultural land mainly given over to the cultivation of rice. 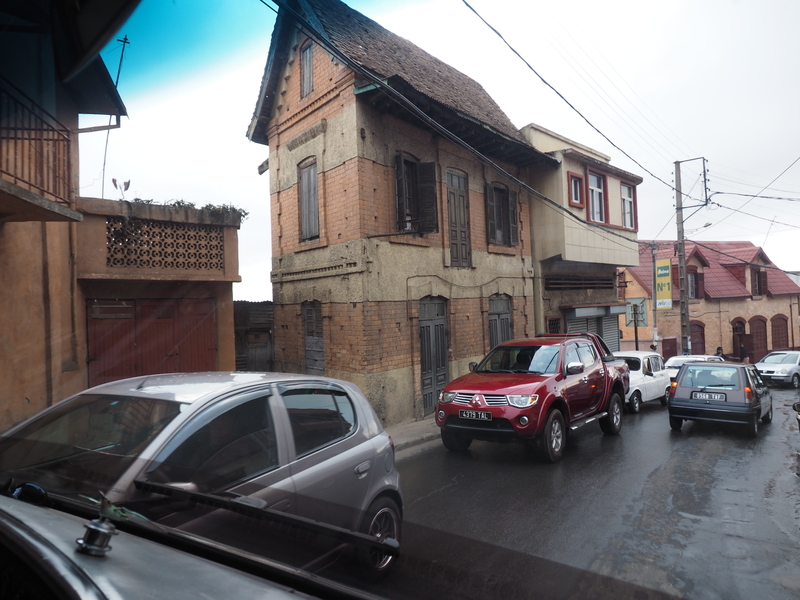 Antananarivo was a major city before the colonial era but was built from wood and thatch.The Malagasy believed that a place to live in should be built from living materials. Outsiders brought in the practice of building in brick and stone from about 1820 and they were used to construct the foreigners small number of churches, schools and factories. 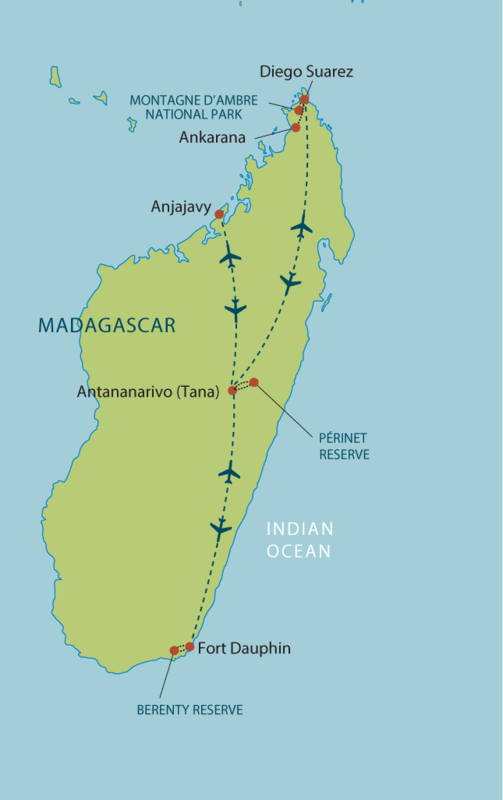 In 1869 Queen Ranavalona II lifted the prohibition on the use of brick and stone by the Malagasy and the new materials rapidly replaced wood.